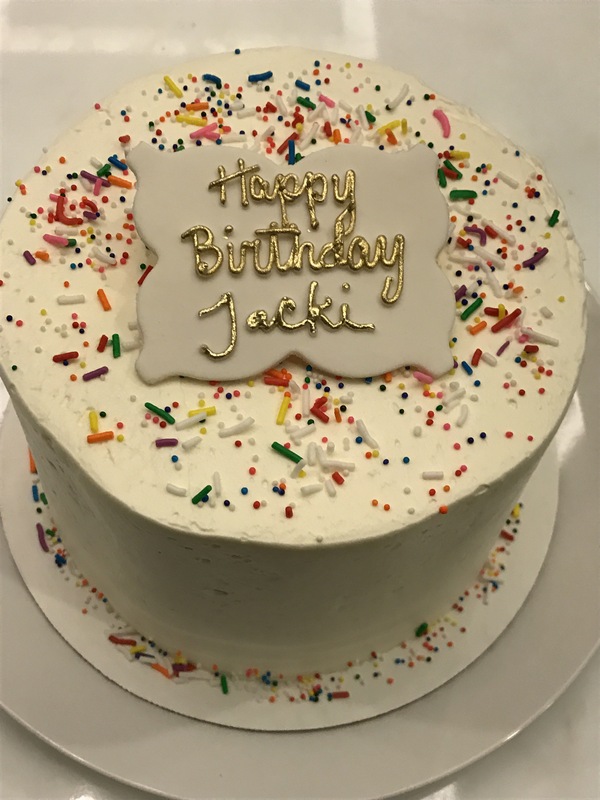 We bought a birthday cake for Jacki from Bake Shop in Toronto! I emailed them from Edmonton & they were so helpful! 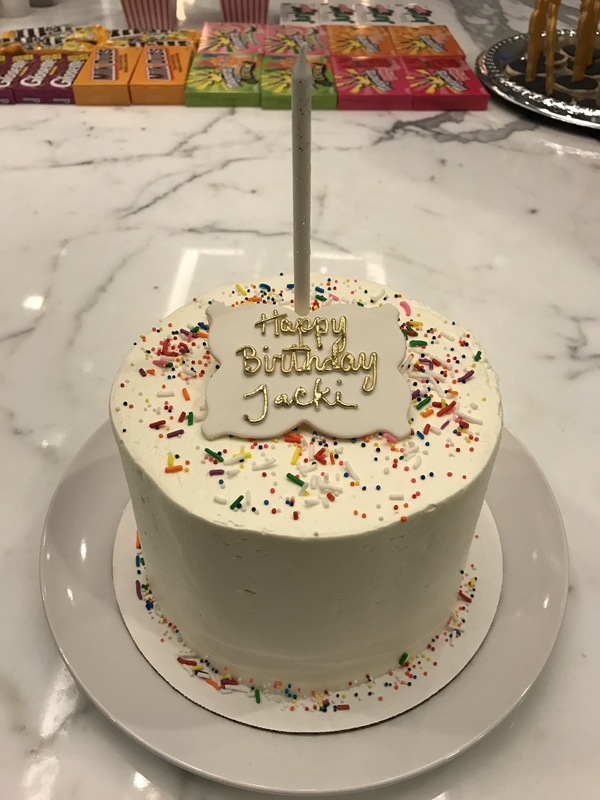 The cake was beautiful & just what Jacki liked! They have sugar plaques to write your message on & they use something gold to write the message with, very pretty . I’ll put the link to their website here in case you want to check them out! They also sold some beautiful single candles for $.75 *** I didn’t love the taste of the icing but most people did!